Learning to use devil sticks is both challenging and interesting, providing excitement for beginners and experienced jugglers alike. Juggling as a performance art form has been around for thousands of years. It’s difficult to trace its exact origin, but the first evidence of juggling was discovered in an ancient Egyptian tomb which dates back to around 2,000 BC. References to juggling have also been found in artefacts from Ancient China, Ancient Greece and the Roman Empire, indicating that the art form has enjoyed long-lived and widespread popularity. The word ‘juggle’ comes from ‘jogelen’ – a Middle English word which means to perform or entertain. And juggling has certainly kept people entertained throughout the ages. This popularity has continued to the present day, and juggling acts can frequently be seen in circuses and street performances. Juggling has also evolved over the years with new variations coming to the fore, such as the use of diablos or fire-juggling. 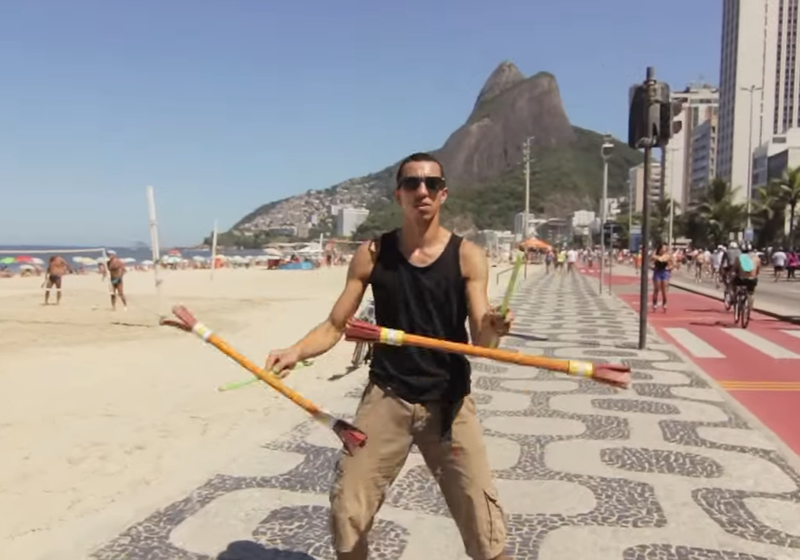 One juggling variation that has gained popularity in recent years is the use of devil sticks. Although not strictly counted as juggling, ‘devilsticking’ is commonplace in many juggling clubs and is an interesting and challenging skill to learn, both for those who are new to juggling and more experienced jugglers who are looking to expand their repertoire. Originating in China, the basic idea behind devil sticks is to keep a large tapered stick in the air by hitting it alternately with two smaller handsticks. Once the basic elements are mastered, practitioners can move on to more complex patterns and tricks, often using multiple sticks at once. To start out in devil sticks, you first need the right equipment. Devil sticks can be purchased from most providers of juggling supplies, and are available in a range of colours and materials, so it’s easy to find something that suits your needs. If you’re brand new to the sport, you might want to start out by using flower sticks. These have weighted ends which provide a slower spin, making them easier to use and enabling you to hone your technique before graduating to devil sticks. The best way to learn the art of devil sticks is to join a juggling or circus skills club. However, if that isn’t for you, there are plenty of online tutorials available which, with a little patience, will help you to master the basics from the comfort of your home. As your confidence builds and your skills improve, you can move beyond the basics, and start building up a repertoire of different moves. There are a number of different skills you can master to add flair and interest to your devil sticks routine. These can vary from fairly simple but still impressive-looking tricks, such as full spins, under leg, and behind the back, through to more complex routines including helicopters, propellers, and double leg rollovers. You can also use clever body moves and balances to help make your tricks look even more impressive. Once you’re confident in your abilities, it’s time to show off your devil stick skills to an audience and for this you need the right devil sticks. When starting out, cheap yet durable sticks are usually your best option, but as you progress you will probably find that good quality pro devil sticks will serve you better. When it comes to performance, don’t underestimate the importance of appearance. Even a fairly basic routine can be given a little extra pizzazz with the right sticks – fluorescent or glitter sticks, for example can really help your performance to stand out for the right reasons. For those whose devil stick skills are more advanced, or who are feeling especially brave, there is also the opportunity to use fire devil sticks which, as the name suggests, can be set on fire to add excitement and drama to your routine. With so many variations available, devil sticks is a really interesting new skill that never gets dull, and is great for improving balance and hand-eye coordination. So what are you waiting for? Grab some sticks and get practicing – your future audience awaits.